EAT BEFORE SHOOTING. 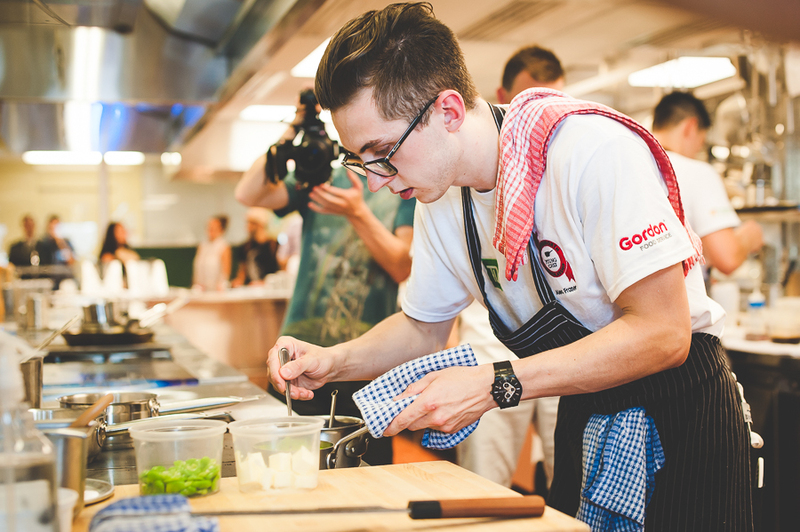 That’s the lesson I learned after photographing a cooking competition for the Hawksworth Young Chef Scholarship Foundation. I just got back from photographing the 4-day Applied Improv Network conference in the Laurentians near Mont Tremblant in the Blueberry Lake resorts. This is the second of three posts highlighting the amazing things I saw during the conference. See the first post about Quest of the Dragon King here, the second post about Gypsy Kumbia Orchestra here. It’s been over a week now but I’m still feeding off the positive vibes and energy from the conference. I came to the Applied Improv Network conference not knowing anything about applied improv and was suddenly immersed in it for 4 days. I can hear the first question already: Alex, what the hell is applied improv? I’m happy to say I can answer this after having photographed 30+ workshops during the conference. The idea of applied improv is to bring the tools and philosophy of improv off the stage and into other environments (such as corporate businesses, academia, or therapy) and ultimately using these improv techniques to develop spontaneity, cooperation or communication for whichever purpose, whether it be for increased performance and efficiency, team building or human development. As you might expect, the conference was full of energy and hilarity. After a morning of photographing people singing, screaming, laughing, hugging, someone told me: "You probably feel like you've just walked into a weird sect right?" Where do I sign up and do we get free refills on the punch? I had a blast and met tons of interesting and talented people. I'd be so excited to photograph the AIN Conference in Oxford 2016. WINK. WINK. I had been familiar with improv as a performance and was used to photograph improvisers, having photographed a bunch of Montreal improvisers over the last year (Mongrel, Easy Action, Meags Fitzgerald, and all members of Montreal Improv's house teams in my Faces of Improv project). Funnily enough, none of that improv photography led me to this assignment. 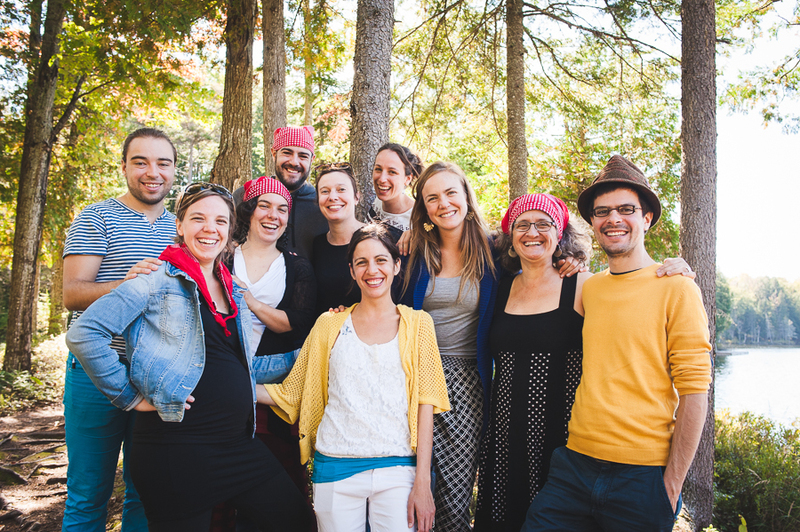 It just happens that a few friends of mine from the 100in1day Montreal community took charge in proposing Montreal as the host city for the 2015 Applied Improv Network conference and organized the whole thing. HUGE shoutout to the lovely team. And I also have to mention this. I love food and love great food even more. We had Andrew P. Cuisine Inspirée (& Mélissa!) and La Brigade cook for us all weekend. My goal in life right now is to be the photographer at all the events where they're catering. I’ve just had the pleasure of participating in Bellastock Québec’s ephemeral architecture festival over the weekend. 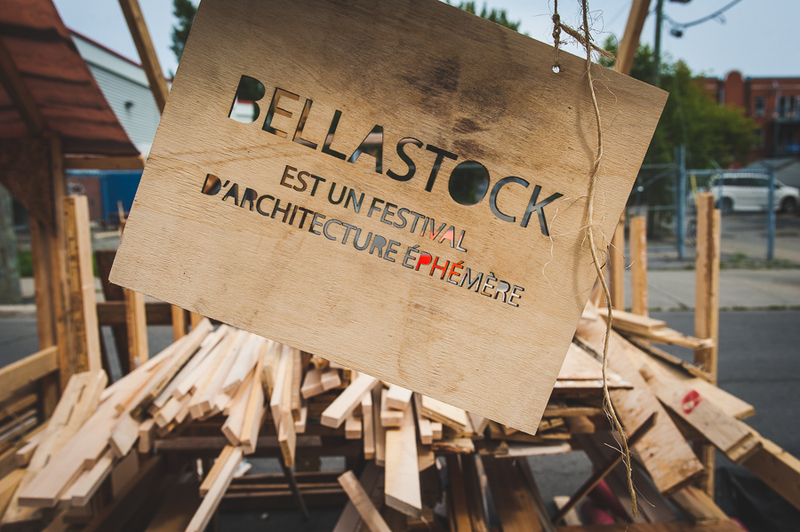 Bellastock was originally founded in France when a few architecture students decided to create a platform for experimental architecture because they felt it was lacking from their curriculum. 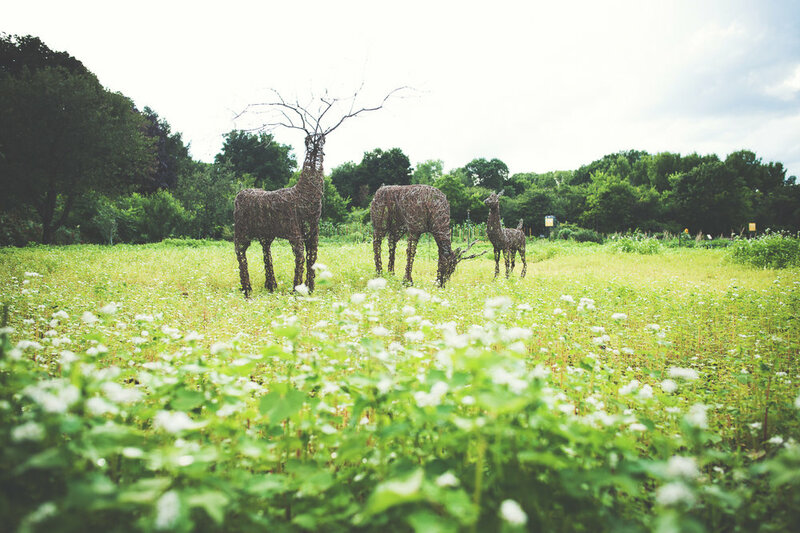 In the original form of the festival, participants migrated to an empty field in which they built an ephemeral village out of recycled materials and lived in it for several days. Last year’s edition was similar, but for 2015, Bellastock Quebec tried something different. The festival took place in Montreal's Pointe-St-Charles neighbourhood on Island street, which is a major entry point for cyclists and pedestrians entering the neighbourhood from the Lachine canal. Despite this traffic, Island street remains somewhat underwhelming and barren. Bellastock Québec’s mission was thus to engage with local community members and show the potential of a revitalized Island street by filling it with ephemeral structures that ranged from functional to decorative. And the kicker: if participants created something useful and were deemed acceptable by the mayor of the neighbourhood, they would remain even after the festival. Perhaps a not-so-ephemeral architecture festival after all. And so dozens of architects, urban planners, landscape designers, and like-minded DIY people (including me) showed up and camped together in a large field for 3 days. Even this Bixi stand was reappropriated to become our shower for our stay. Hours of building with recycled materials led to creative installations that ranged from purely decorative art, to playful interactive games, to functional structures. I much preferred the motivation behind this year’s festival. It attempts to create something useful for a community, rather than just focusing on building stuff and partying. There are still some refinements to be made to better integrate the community members in the festival, but despite this, what the Bellastock Québec team managed to accomplish in just their second year was impressive and I hope to come back for next year’s 2016 edition! I’ve already expressed my love for the Santropol Roulant and their team. 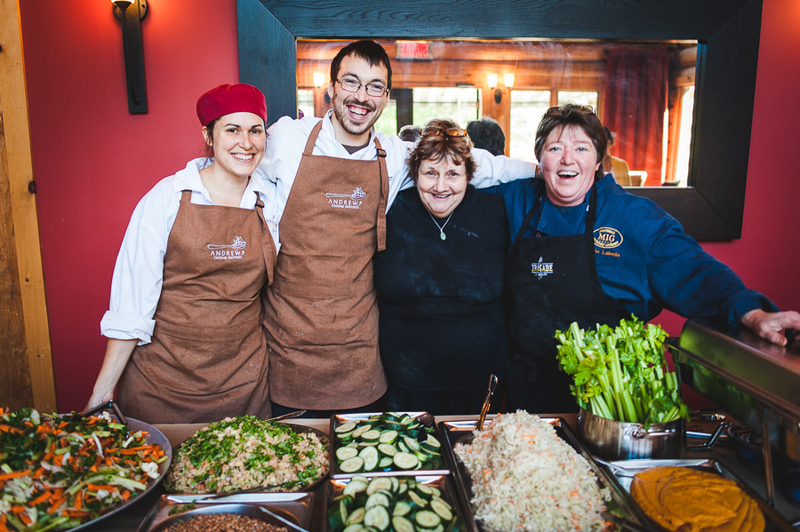 If you’re not familiar with this Montreal food-community organization, make sure you read my first post about them! Needless to say I was thrilled to have the opportunity to take their new staff portraits. Giddy with excitement! I had actually been wanting to do this for over a year. I wanted to create something more visually stimulating than just headshots of the entire staff on a same sterile background. Usually what comes to mind when people think of staff portraits are typical corporate headshots. Suits, ties, folded arms. That’s like the opposite of the Santropol Roulant. To showcase the many facets of their vibrant organization as well as its the physical space, I photographed most staff members in a space that is tied to what they do. So Sam is in the trailer full of veggies from the Santropol farms in Senneville, Noémie is about to get her hands dirty in the rooftop garden, Jeremie, with his polka dot apron is ready to manage a kitchen full of volunteers, and Kai is greeting customers at the pop-up market with his big smile. To create these wider environmental portraits, I only used my 28mm and 50mm lenses. As much as I love the 85mm, it stayed in my bag. I wouldn't have had enough space to back up and include the environment in the shot. Here’s how I handled lighting: for outdoor portraits, if the sun was out, I would either shoot backlit or find a spot where the subject and the background were in the shade. For overcast days, I wasn't restricted as much and I used a reflector. For most indoor shots, I had my flash in a Photek Softlighter supported by the Manfrotto Nano light stand. I love this portable studio kit! It’s lightweight, quick to set up, and has a small footprint. The staff members are as busy as the bees in their rooftop hive, so staying out of the way and working fast was essential. I was able to work around their schedules and only required a minute per person on average. And hey do you need new staff portraits where you work? Show these pictures to your boss and wink a few times. This Thursday (July 16th), the Santropol Roulant is celebrating their 20th anniversary. They'll be closing the street off, playing music, hosting workshops on different topics and there will also be an Iron Chef food competition where we'll be the judges. Read more about it here. Come join the fun, I'll be there taking pictures! As a side note I’ve just launched my second Postcard from Alex yesterday! If you’re not subscribed yet make sure to check it out to see more photos, stories and photography tips! Talk to you soon. What’s the first thing you think of when you hear Santropol? If you’re thinking of the coffee, you haven’t spent enough time at the Santropol Roulant! It’s an amazing heart-warming organization composed of a small passionate staff and an effervescent community of volunteers. At their core is a meals-on-wheels service which delivers fresh meals to people living with a loss of autonomy, but they also have urban agriculture programs, a bike shop and much more. I first got to know Santropol when Claudia worked there a few years ago, and just recently I had the pleasure of photographing their general assembly. Now I know that general assemblies might not sound like the most exciting thing to photograph, but their assemblies are different. Clients, volunteers, staff, and board members get together in a convivial atmosphere. Smiles are everywhere and there’s no shortage of sweet moments. This might deviate a bit from my regular portrait and wedding photography, but it’s important for me to photograph subjects I care about (that’s why I’m not a car or nightclub photographer). In the end it’s still about capturing people and moments. As a side dish to my portrait bread and butter, I’ve been wanting to become sort of a Montreal community photographer, documenting the people and organizations contributing to Montreal’s culture. In a typical Santropol Roulant fashion, I'll end this with a bit of dancing. Thanks for reading! My tomato plant keeps teasing me. It promises me a great bounty and produces flower after flower, but without any pollinating friends around, these would-be fruits soon wither and fall. The tomato plant just stands there on my balcony, mocking me every time I come back from the supermarket with store-bought tomatoes. Thankfully, it’s a different story at the collective garden. Note that it’s a collective, not a community garden. Everyone shares a common garden, as opposed to each person owning a small plot. There, our tomato plants behave, producing plump tomatoes bigger than your fist. And we have other things too, from cucumbers, camomile, cabbage and carrots, to basil, beans and beets. Enough beets to even make Dwight Schrute proud. We have parsley, sage, rosemary and thyme, and enough herbs to make 3 more Simon & Garfunkel songs. The best part is that the garden is located inside Montreal’s Botanical Garden. We work surrounded by vibrant flowers while the song sparrows, catbirds and goldfinches keep us company. Even foxes come visit from time to time. They also eat from thyme to thyme. It’s a wonderful, lush paradise that I share with happy people. There's something intrinsically beautiful and photogenic about gardens. I don't know what it is. Sweaty gardeners full of soil? I'm not sure. But just looking at colourful gardening pictures gives me the same fuzzy feeling that I get when actually gardening. Claudia and I have this secret fantasy of moving away from the city and starting our little farm. We'd have cats, lots of veggies, and never any pests. I'd have a little woodworking and leatherworking workshop in the back. And somehow I'd find a way to still photograph people. We could make a farm-studio thing where I'd do farmer photoshoots. That's a thing right? If farmer photoshoots don't sound like your cup of tea, check out the links below where you might find some photography that's a bit more to your liking. Thanks for reading! Remember you can always contact me if you want to discuss anything. (You can find part 1 here). October 5th. I wake up, pack my camera gear, and step out of the house. I walk 2 meters and see a driver and cyclist almost collide. The cyclist reveals his middle finger and his near-killer shouts something probably obscene from the vehicle. Not the way I envisioned this day supposed to be full of appreciation, love and community, but oh well. First stop: intervention #33. In the Mile-End, Carolina is about to re-invent the telephone booth. By bringing beauty back in this most mundane, almost invisible object, she wants to make people more aware of their everyday surroundings. A few steps away, I see the Rue Publique team working on their Woonerf project (#91). By installing these giant structures in the middle of the street, intrigued motorists slow down, pedestrians playfully interact with the installations. Eventually people ask questions to the Rue Publique team, who reveal their motivation behind the project: if motorists can still circulate on this unnecessarily wide street, even with these installations in place, why not improve this shared public space by making it more pedestrian and cyclist friendly?, they propose. At the bustling Café Olympico, I see the “artesian well” (#34), a collaboration between architect Ian Pieterse & artist Charlie Twitch. Hidden inside this enigmatic brick structure are speakers playing “sounds of the underground”. At Parc Jeanne-Mance, I take a quiet moment as I walk through a giant meditative labyrinth of rope (#5). I see a wizard (or pirate? ), creating and manipulating bubbles into all sorts of shapes (#20). I take the metro with giant birds and monkeys for their Puppet Convergence (#50). I marvel with other passersby at hundreds of origami pelicans in a park (#7). I see messages of joy, folded into paper planes and thrown towards strangers by giants on stilts. I have a huge smile on my face pretty much for the entire day. At this point I have to admit I was extremely relieved. The days leading up to October 5th had been pretty stressful and chaotic. I ended up being in charge of coordinating a 10-person video team on top of constantly updating the website with the dozens of last-minute interventions being added. But somehow, on the big day, everything went smoothly and as planned. Coordinating 100+ interventions across the city in a single day didn’t seem that difficult after all. Especially when you have a terrific team like the one we had, driven by the energy of all participants of the festival. And speaking of energy, take a look at this next intervention. Intervention #3, the Silent Disco. This one was nuts. Picture this: hundreds of strangers are dancing together in total silence, all of them somehow in sync. As you get closer, you realize they’re linked together by the music they’re streaming in their headphones. Passersby joined, cars honked in support as the mob danced gleefully. When you’re anticipating a big day like this one, it’s easy to suddenly find yourself in an underwhelming, anti-climatic disappointment. Although I only saw a small glimpse of it, 100in1day Montreal did not disappoint. P.S. Check out this video made by the video team. Back in August, Claudia introduced me to the 100in1day Montreal team. As I met these dreamers, creatives and all around good people with big hearts, I had no idea what I was getting myself into. I learned about the 100in1day movement. It’s an international movement that started in Bogotá, where a group of friends got together around beers and decided on a whim to organize an event where 100 actions to improve their city would take place in a single day. And when that big day came, hundreds of citizens got together to make Bogotá the city of their dreams. This quickly spread to other cities, from Copenhagen to San Jose to Cape Town and Montreal. The process was simple. During the summer, we set the big date for 100in1day Montreal on October 5th 2013. 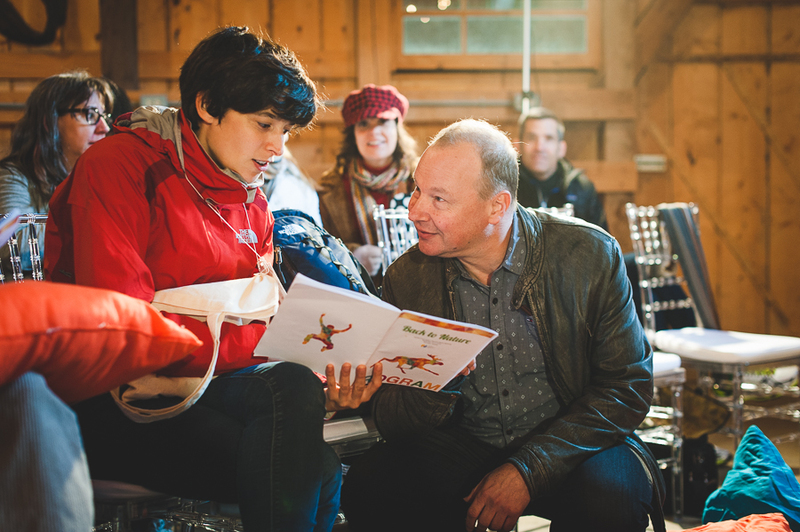 Every week after that, the team hosted workshops in which citizens of Montreal of all ages and backgrounds were introduced to the project and were invited to share their dreams for the city. By brainstorming with other people also passionate about improving the city, they eventually came up with actions, big and small, to transform Montreal. Many entered these workshops knowing absolutely nothing about the project, but left with a spark that eventually bloomed into one of the 100 actions that took place on October 5th. Here are a few pictures of these workshops. In addition to documenting the process as well as the big day, I wanted to thank all participants behind each of the 100 actions by creating a unique image that would represent their action. We displayed these on the website to give each action a visual identity. Here are some of my favourites. Thanks and stay tuned for my next blog post! I'll describe several actions that took place and share some pictures of the big day! 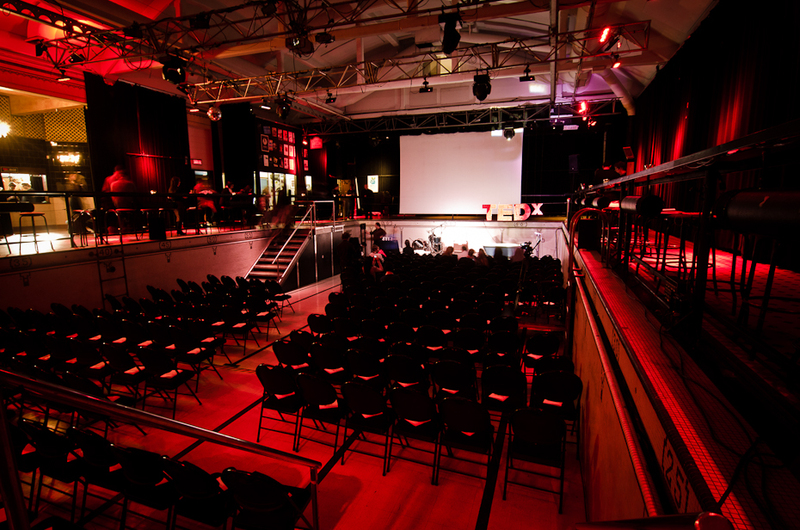 Last Sunday I had the chance of being one of the photographers for TEDxMcGill. The event took place in Montreal at Bain Mathieu. In a POOL. This year, the theme was Redefining Reality. They had 15 great speakers, including legendary scientist Brenda Milner. Ok so a few things to talk about. First, the TED sign. My high school friend Gabriel (part of the Salvaging Activity Workshop) was in charge of creating the sign, and within a week, his team created this cool, bold, TEDx sign. They lit it from a bathtub below and had running water, creating the ripple effect you often see in reflections near pools. Really cool. Next, we set up a photobooth in the corner where speakers and guests got photographed with these cool red X’s made by TEDx volunteers. I even bought the Eye-Fi cards and tried out the wireless transfer to iPad to display the pictures right away. Here are some of my favorite pictures from this set up. Ehhh I wish I had all the speakers on these. I need to thank Chloe & Marie (for helping me get this gig), as well as Sam, Nida and Matt (for helping me out the whole day)! In the end, the whole day was great. I’ve always been a fan of TED so I was psyched to be able to photograph this event. I actually used to have a morning routine that consisted of coffee with a TED talk. I should get back on that.